UPMC’s Summer Associates Program has been an educational, motivational and inspirational experience for me. We all know about the first day jitters and the panic mode that sets in as you walk to your first meeting without a clue what will be going on. 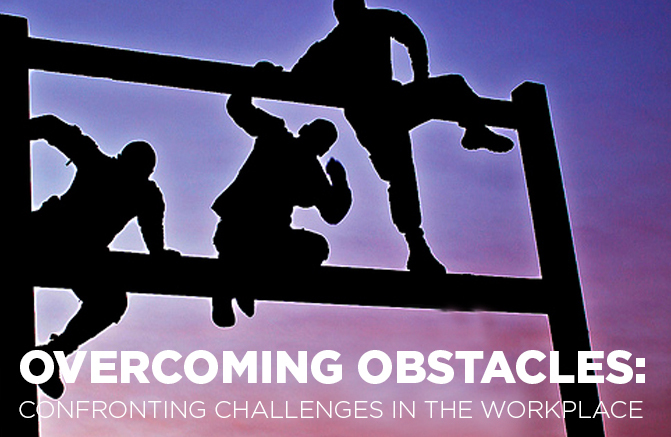 The obstacles people face during their first internship or job are inevitable. What will make you succeed is beginning with a positive attitude and breaking through the difficult barriers. Ask questions. This is repeated by many people throughout our lives. As a Summer Associate, you will most likely be given tasks out of your comfort zone. Asking questions, scheduling meetings with those who are experts within that field and going out of your way to research it more yourself will help you succeed during tough projects. Trust me when I say your team wants you to ask questions. It not only helps you, but also gives your team an understanding of where you stand with the project. This could lead to opportunities of training instead of sitting around staring blankly at your computer screen in a panic! Take action. Going to your first meeting may be a little intimidating. You may find yourself just sitting there in silence trying to write down everything your team is saying. My best advice to you in order to make you closer with your team is to speak up. If you have an idea that would generate a better outcome for your team’s issues, say it! They love to hear input from someone with fresh eyes on the issue. Take advantage of opportunity. It could happen that you may not like the position or the work that you have been placed in as a Summer Associate. Instead of dwelling on the negative, why not take this opportunity to network and shadow other departments? Even if you are still in college and have one more year, it could really help you figure out what you truly want to do for the rest of your life! Just be sure to ask your manager or mentor if it would be alright with them if you took some days to shadow another team. Odds are they will find it great that you are interested in learning more about the company and its functions! Be yourself. Only you can be you. Why try to be someone else? If you enjoy talking to people and socializing, that is fine! Just be sure to get your work done. Take that five or ten minute break and walk around. I find myself so focused on my work I do not even realize I have been sitting in the same area for over four hours. I very much enjoy when someone walking by stops and chats for a while, whether it be about the work I am doing or the most random topic you could think of. Also, do not be afraid to include your own style in your work. This will make you stand out from all the others. Forget the templates or the unnecessary bland colors of PowerPoint. Show them who you are! Embrace criticism. Many of us do not want to hear about what is wrong with our work after we’ve spent so many hours completing it. However, the only way to improve is to hear about the faults in our work. It is not to be taken personally. I have been working on a design for one of UPMC’s sites and found myself jotting down numerous things to change about my first draft. Instead of feeling upset or down about the issues, I embraced them. Without my team’s input, I would have not had the great ideas to make the site better! When I finished the second draft I was so proud of not just what I created, but of what we created. Two brains are better than one!